Even the word "staph" can be a little scary. It's immediately associated with staph infections, which can be serious, even fatal. So when a new study found drug-resistant Staphylococcus aureas (S. aureus) present in nearly half of the meat and poultry samples examined, the findings sounded alarming. But an infectious disease specialist, M. Gabriela Bowden, Ph.D., Assistant Professor at Texas A&M Health Science Center, told dailyRx.com that the findings aren't as worrisome as you might think. "The staph identified in the study is a strain of the bacteria found in animals, not humans.”It's a slightly different strain that's not as virulent, not as toxic," she said. "So it's a tamer organism and won't cause the same problems other strains do because it has less toxins." Dr. Bowden added that with proper food handling, you can minimize the risks posed by S. aureus. S. aureus is all around us. In fact, you may - and probably do - have staph bacteria on your skin or in your nose right now. According to the CDC, 25 percent of healthy people and animals carry staph. It's easy to pick up staph by touching something that's contaminated, including raw meat. S. aureus can cause food poisoning and other more serious diseases, ranging from skin infections to pneumonia. 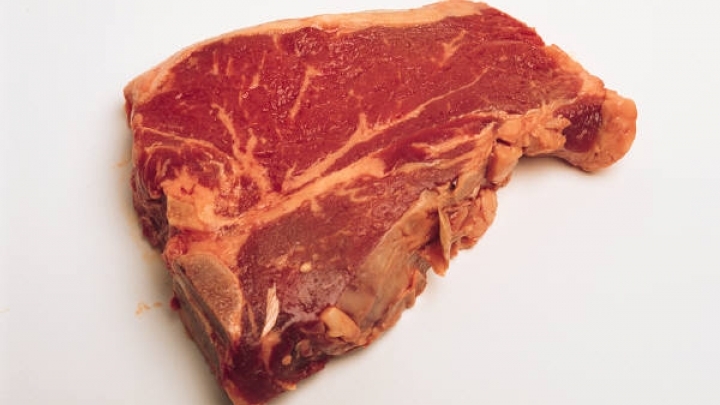 Drug-resistant staph in meat - really? Researchers collected and analyzed 136 samples — covering 80 brands — of beef, chicken, pork and turkey from 26 retail grocery stores in five U.S. cities: Los Angeles, Chicago, Fort Lauderdale, Flagstaff and Washington, D.C. So this was a pretty small study. However, it did find that nearly half (47 percent) of the meat and poultry samples collected and analyzed were contaminated with S. aureus. And more than half of those bacteria (52 percent) were resistant (could not be killed) to at least three classes of antibiotics. “For the first time, we know how much of our meat and poultry is contaminated with antibiotic-resistant Staph, and it is substantial,” said Lance B. Price, Ph.D., senior author of the study and Director of Translational Genomics Research Institute Center for Food Microbiology and Environmental Health. The study was recently published in the journal Clinical Infectious Diseases. There are two problems with finding staph in raw meat. First, the bacteria can collect and grow and cause food poisoning. Secondly, the bacteria on the food could be transferred to the food handler. Writing in her blog, Tara C. Smith, Assistant Professor of Epidemiology at the University of Iowa, explained. "If they're [food handler] not careful with their procedures, they could end up introducing staph into any wounds on their hands (thereby possibly causing an infection), or rubbing their nose/eye/skin and introducing the bacterium that way, potentially leading to long-term carriage," Dr. Smith said. "Really, in that manner it's no different from picking up S. aureus at your local gym, or school, or hospital--you touch something that's contaminated with the bacterium, and then unknowingly colonize yourself with the germ." Researchers say additional study is needed to learn more about how S. aureus in meat may impact human health. Dr. Smith summarizes her thoughts on the subject by saying, "The bottom line is that we simply don't have the studies yet to tell us if Staph on food is riskier than Staph at your gym, or Staph at your school, or Staph directly from a pig, etc. However, there's nothing good or beneficial about having yet another source of S. aureus that's multi-drug resistant, and as such, it's yet another reminder to do what you can regarding safe food handling practices."